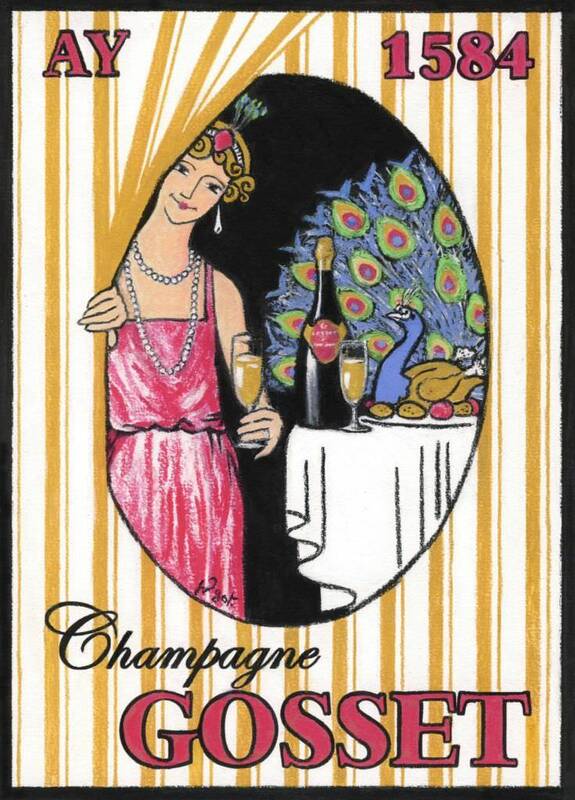 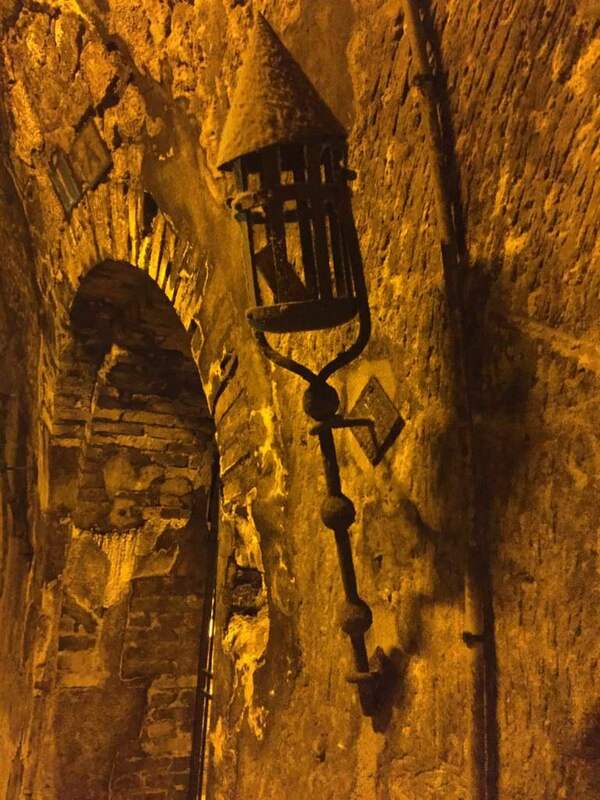 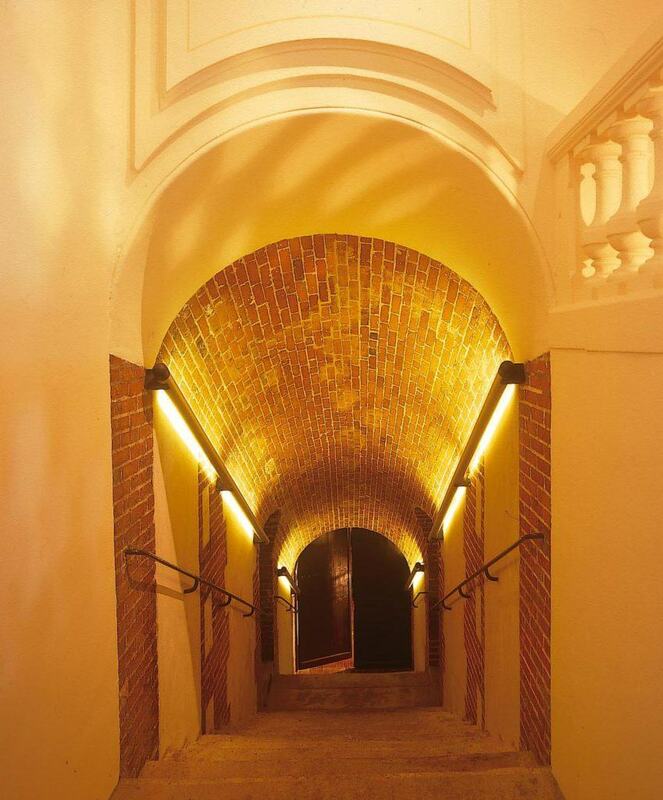 Founded in Aÿ in 1584 by Pierre Gosset, Champagne Gosset is the oldest wine house in Champagne. 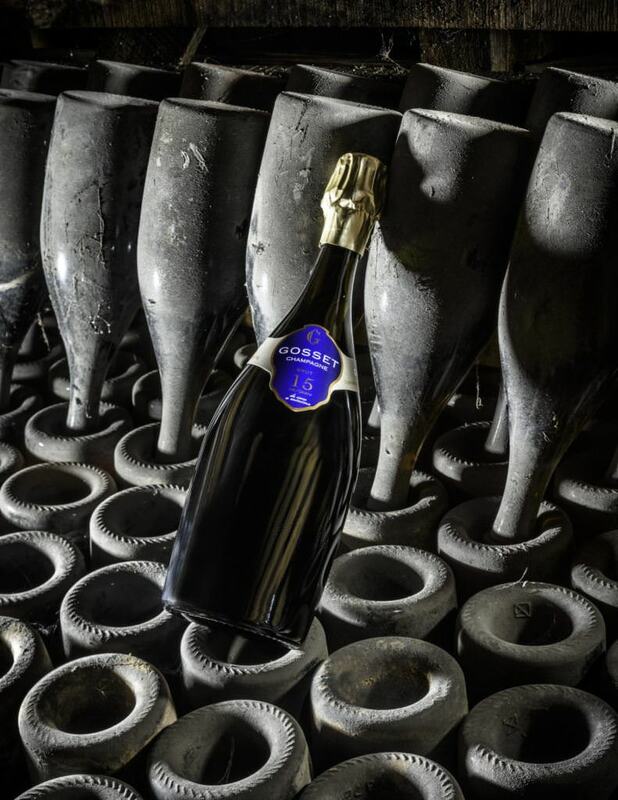 For more than four centuries, the preservation of style, elegance and family traditions in the making of Gosset champagne has been paramount. 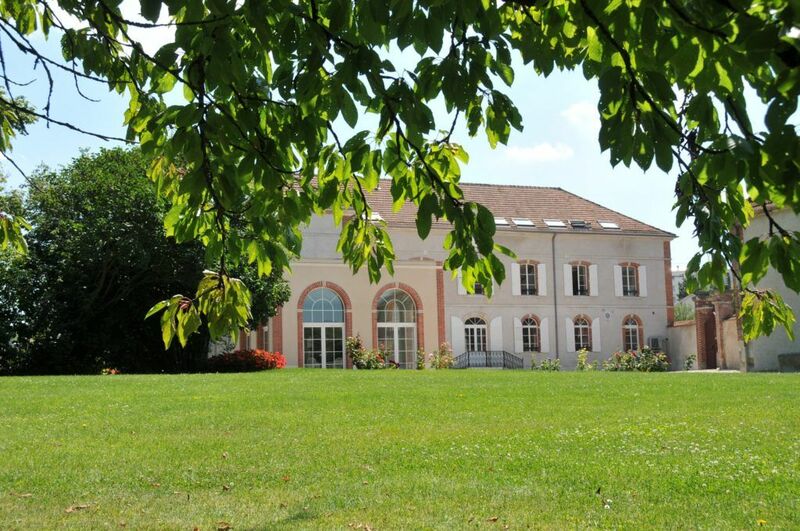 Champagne Gosset’s reputa­tion for high-quality starts in the vineyard, where they source grapes almost entirely from premier cru and grand cru vineyards. 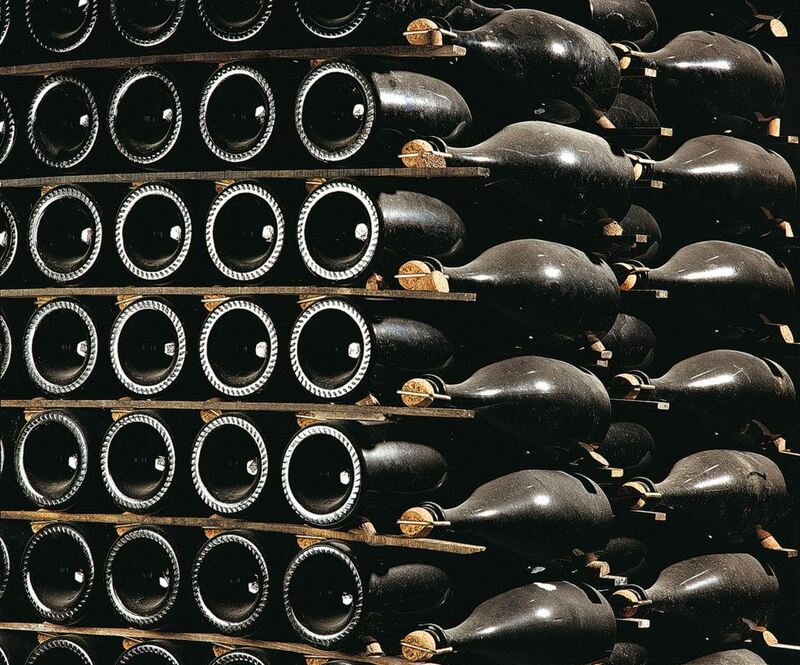 Unlike most champagne produc­ers, Gosset carefully avoids malolactic fermentation and uses extended lees aging to expose the terroir and produce dynamic, age-worthy cuvées. 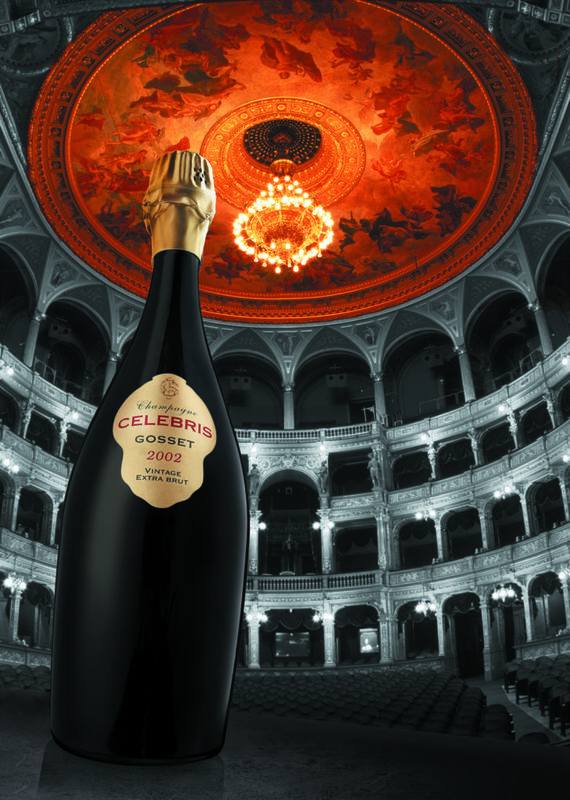 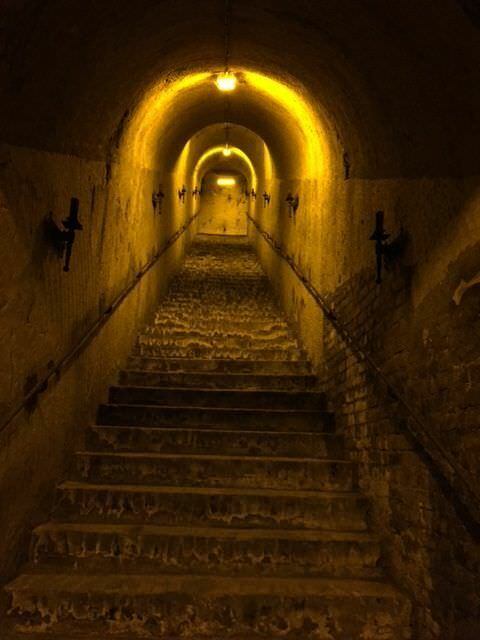 Gosset champagnes are made with extreme care and kept in dark cellars for four to five years for non-vintage wines — and up to seven for vintage champagnes and 10 for the CELEBRIS cuvées — before release. 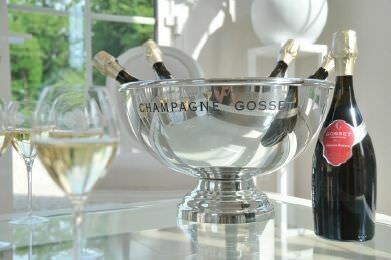 Founded in Aÿ in 1584 by Pierre Gosset, Champagne Gosset is the oldest wine house in Champagne. 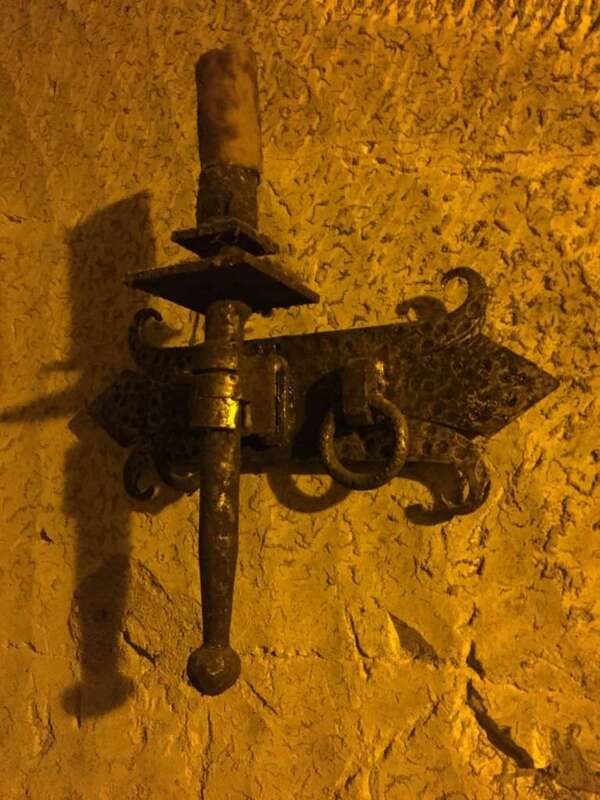 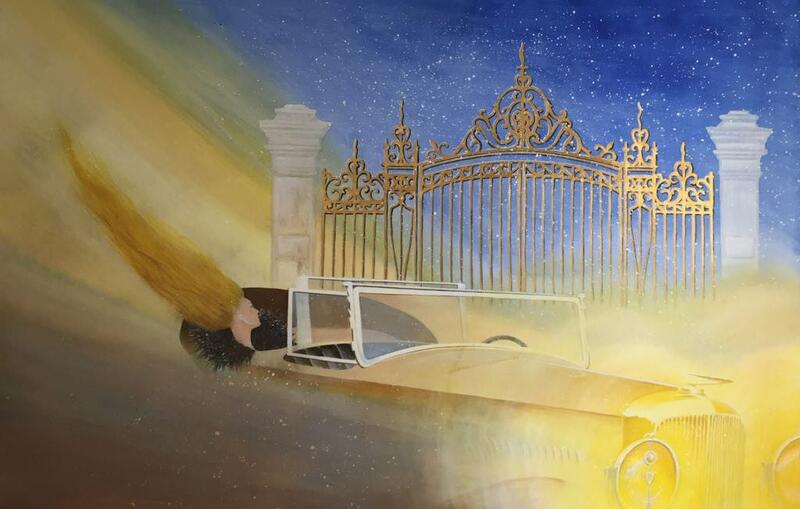 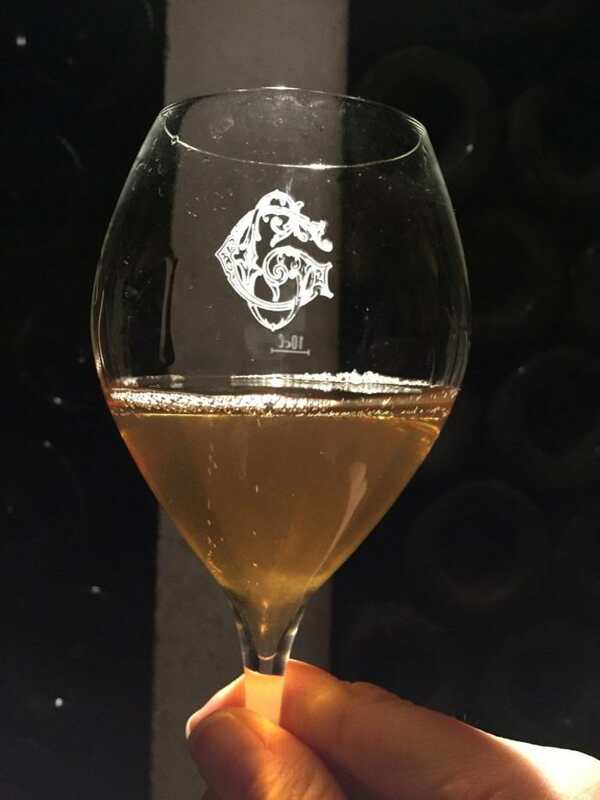 Over the next four centuries, generations of the Gosset family would go on to win fame not only as alderman, mayors and magistrates in Aÿ, but also in growing and trading wines of Champagne. 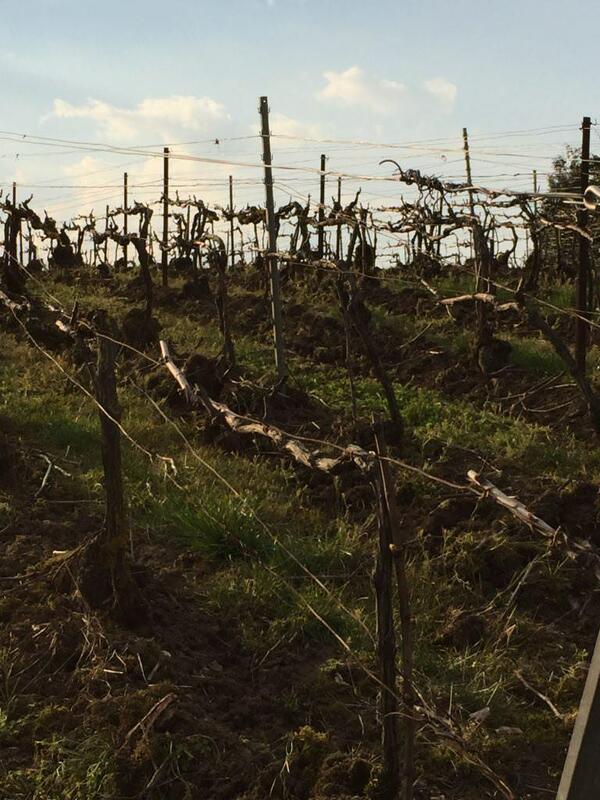 Whatever the period, the men and women of the Gosset family had a single ambition — to improve their terroir. 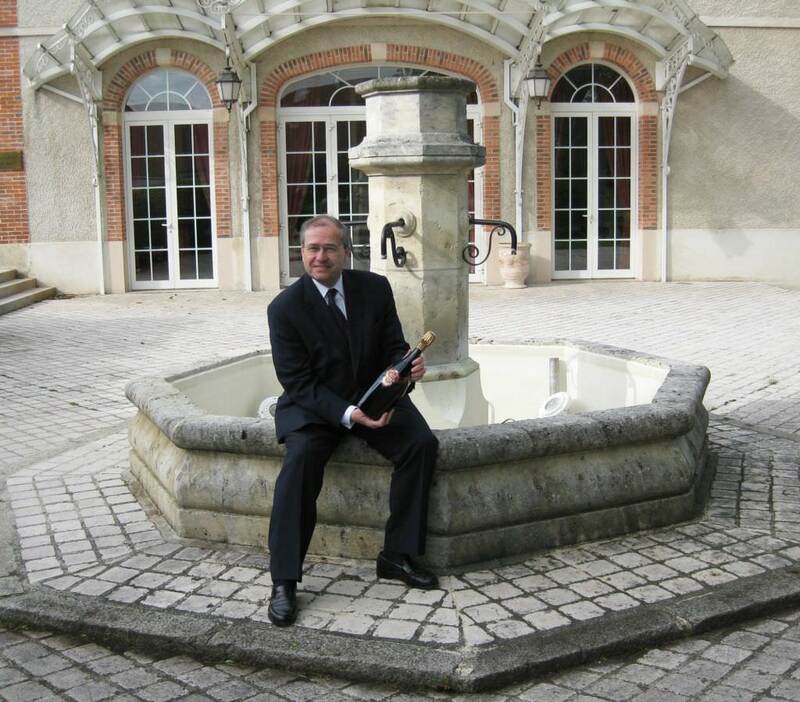 In 1993, after more than 400 years of family ownership, Champagne Gosset was purchased by the Renaud-Cointreau family, who also owns and manages the highly regarded Cognac Frapin. 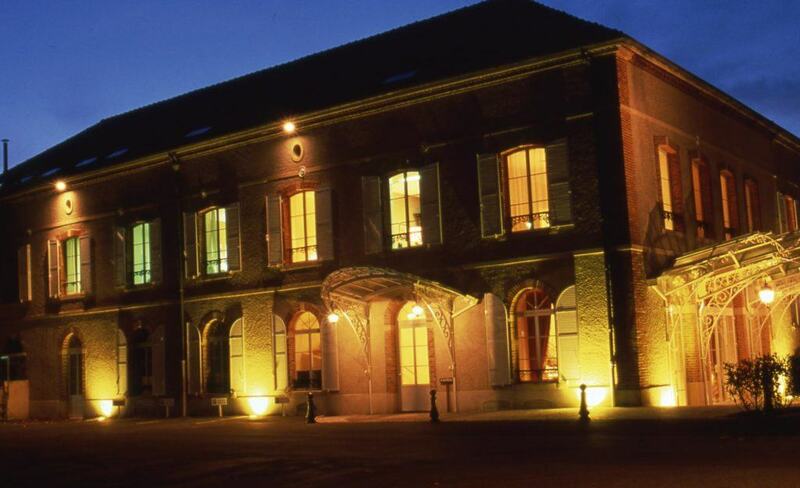 The Renaud-Cointreaus insist on a continuity of the old-style champagne appropriate to its historic birthplace in Aÿ. 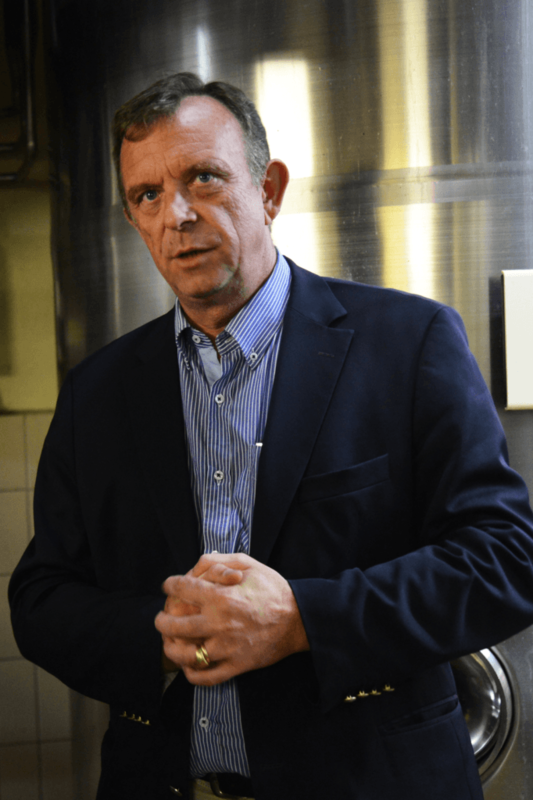 While other Champagne houses are handing over the reins to large corporations, the Renaud-Cointreau family understands the importance of preserving the heritage in winemaking that has, over 430 years, made Champagne Gosset the ultimate name in champagne. 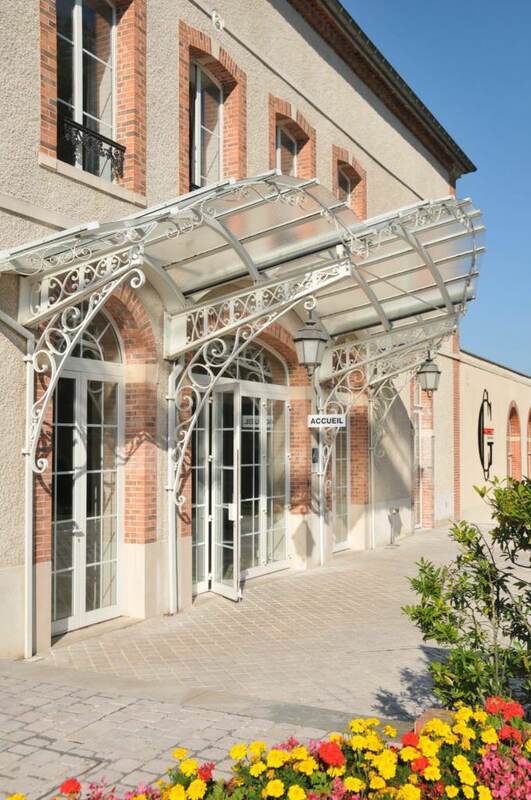 In 2009, Champagne Gosset announced the acquisition of a new property in the heart of Epernay, which doubles the cellar space and serves as an extension to its production facilities in Aÿ. 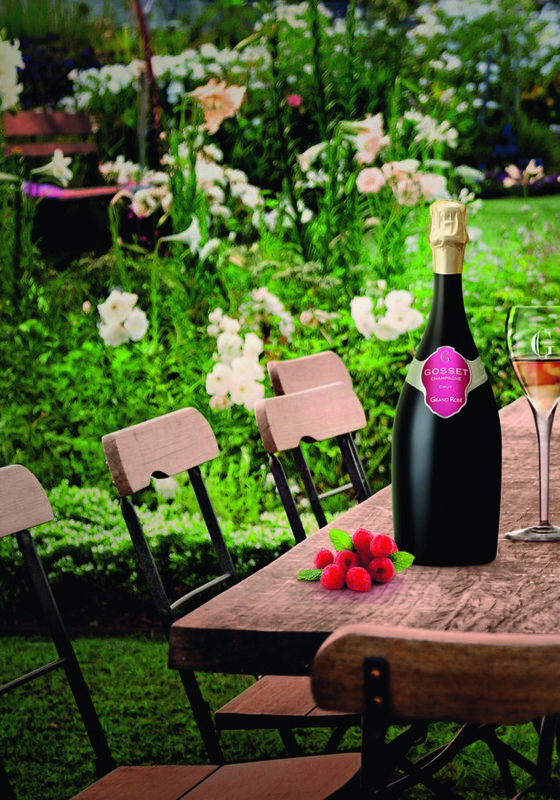 Champagne Gosset’s reputation for quality starts in the vineyard, where it sources grapes almost entirely from premier cru and grand cru vineyards in the Côte des Blancs, Grand Vallée de la Marne and Montagne de Reims. 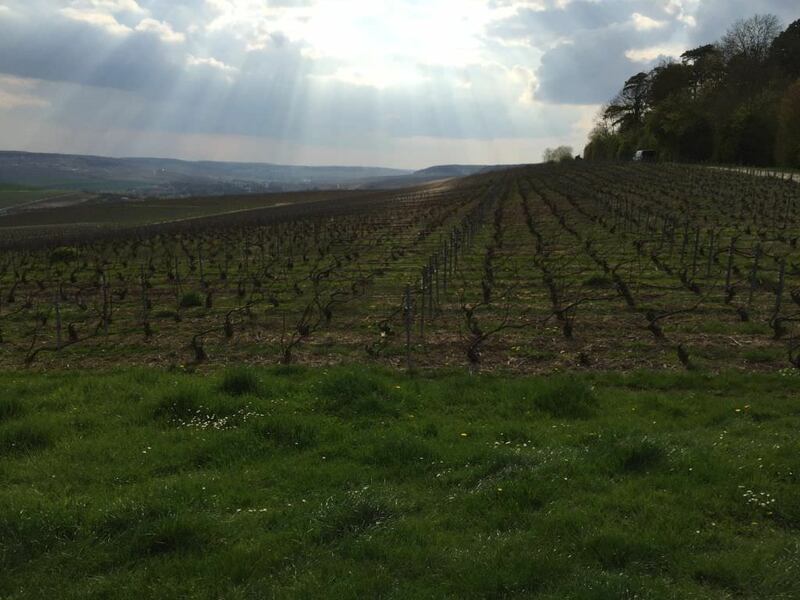 These vineyards rate an average of 95 percent on the “échelle des crus,” or “ladder of growths,” — the classification system of the villages in the Champagne region. 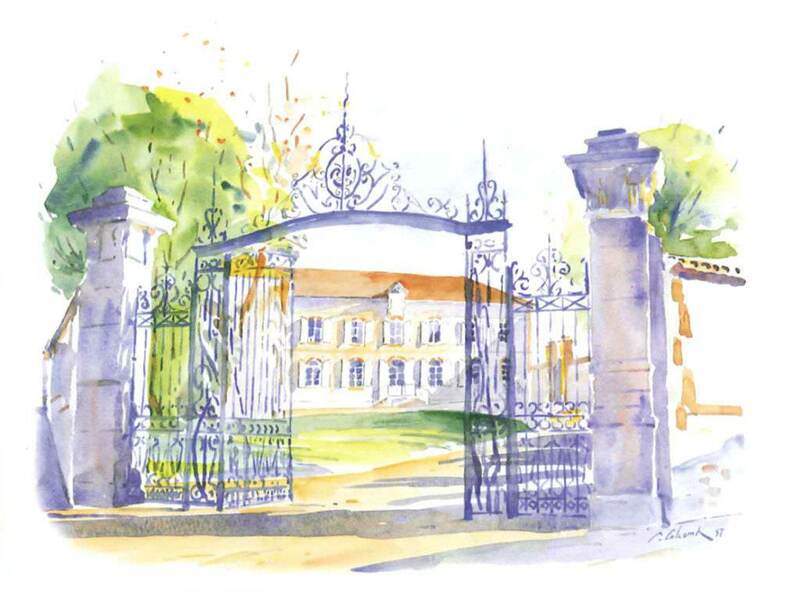 The top-rated villages are given a score of 100 percent and are called grand crus; currently there are 17 such villages. 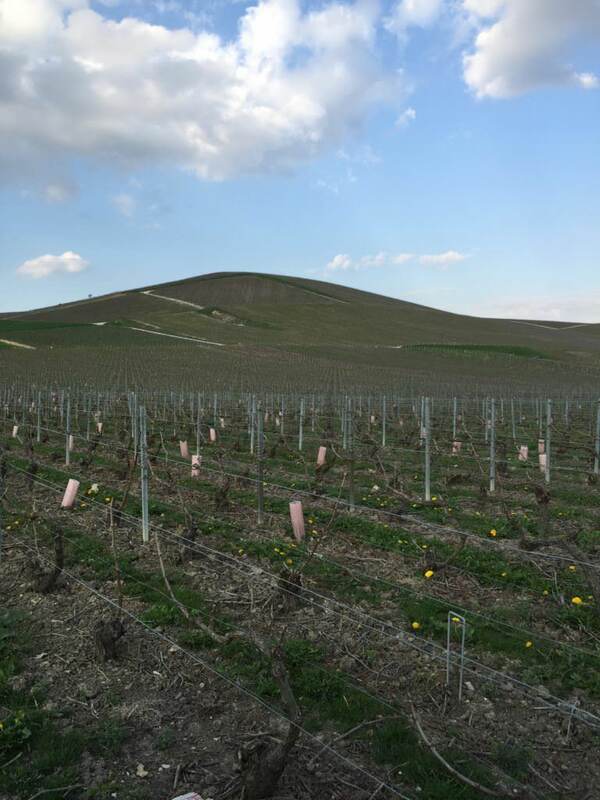 The next tier has scores ranging from 90 to 99 percent; these are the premier cru villages, of which there are 44. 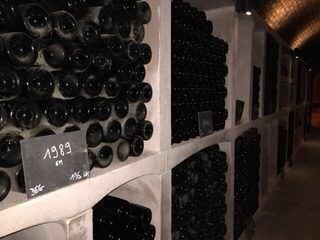 The remaining 296 crus have scores between 80 and 89 percent. 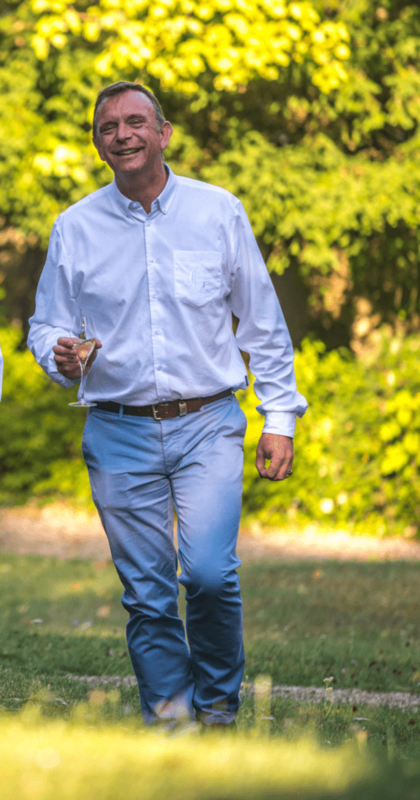 Champagne Gosset has long-term relationships with growers that date back several generations, allowing the winemaking team to direct activity in the vineyards. 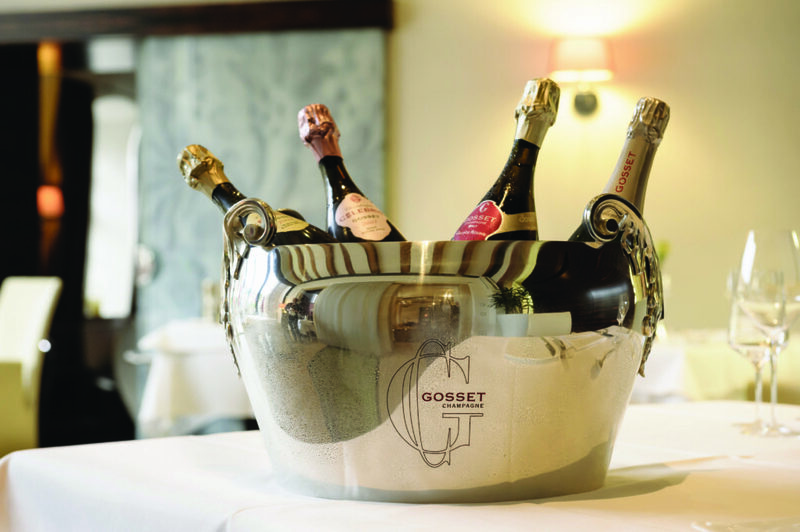 Champagne Gosset’s style is based on a philosophy that aims to utilize all the grapes and terroir have to offer and to minimize other inputs. 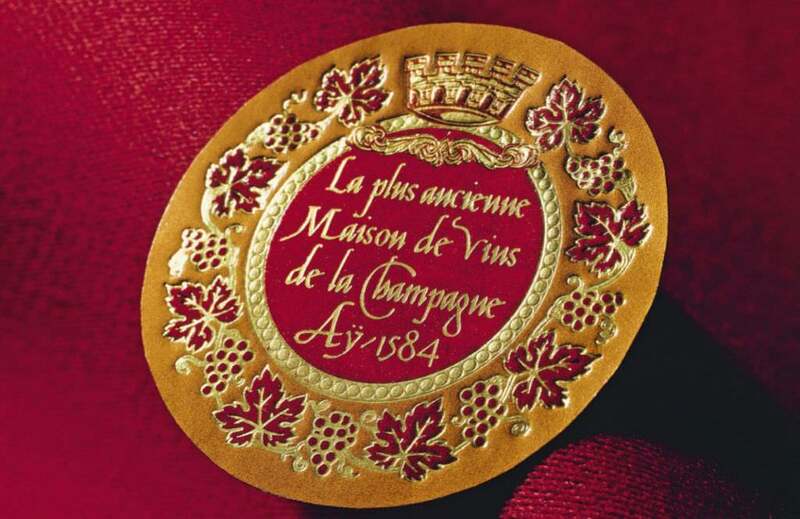 For example, unlike most champagne producers, Gosset carefully avoids malolactic fermentation, thus preserving the malic acid present in the grapes. 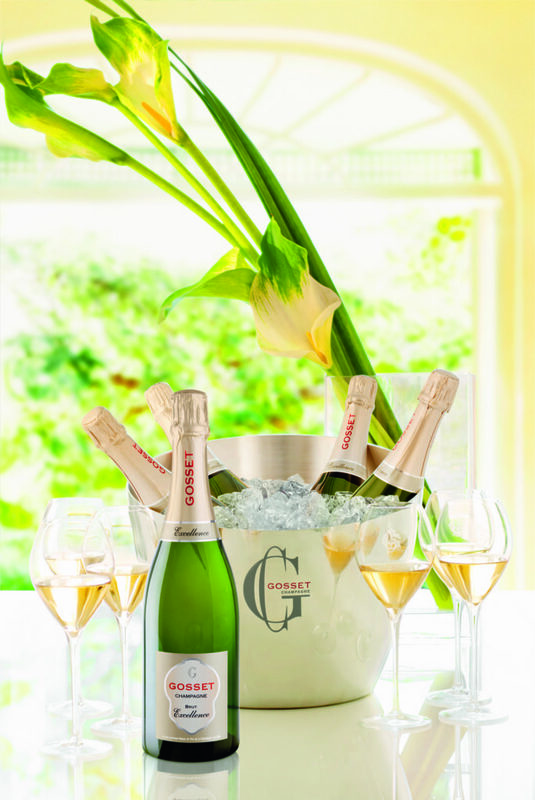 Champagne Gosset keeps all grower lots separate until it is time to blend the cuvées and vinification temperatures are managed carefully to preserve delicate aromatics. 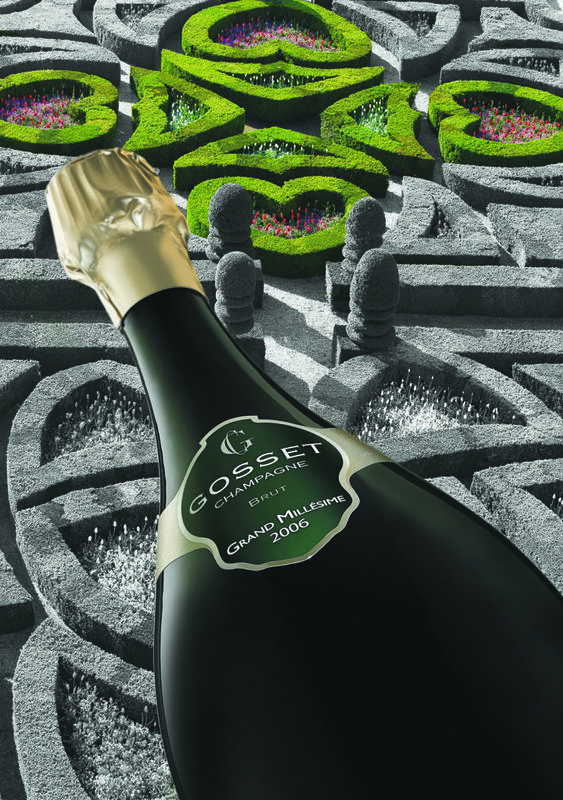 During assemblage, all the lots are tasted blind – there are no recipes with Champagne Gosset. 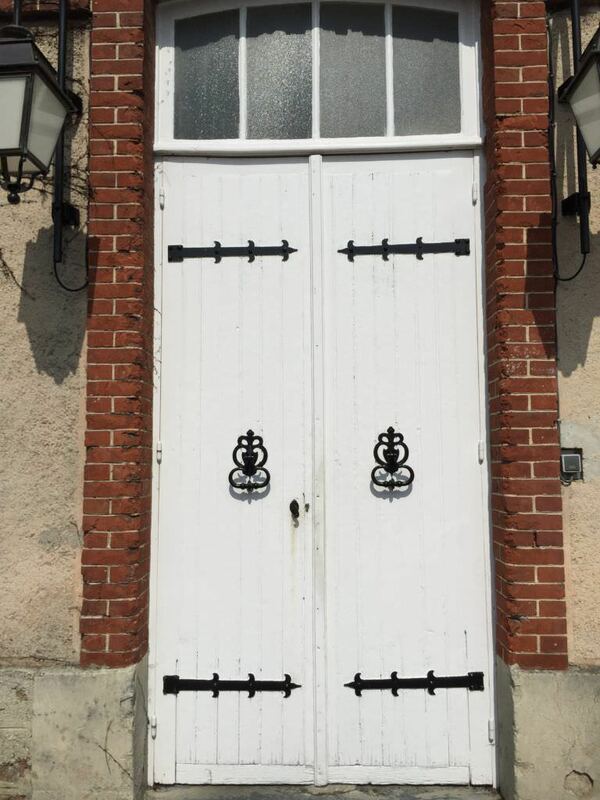 Similarly, dosage for each lot is selected during blind trials. 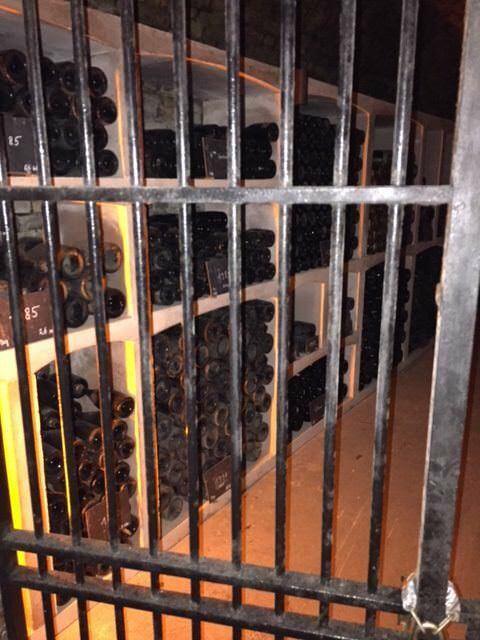 Gosset champagnes are made with extreme care and kept in dark cellars for at least three years — and up to seven for vintage champagnes and 10 for the CELEBRIS cuvées — before release. 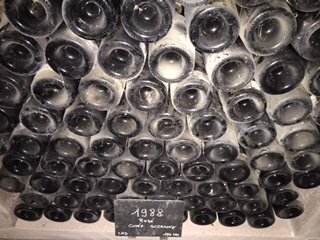 Extended lees aging is another hallmark of Champagne Gosset. 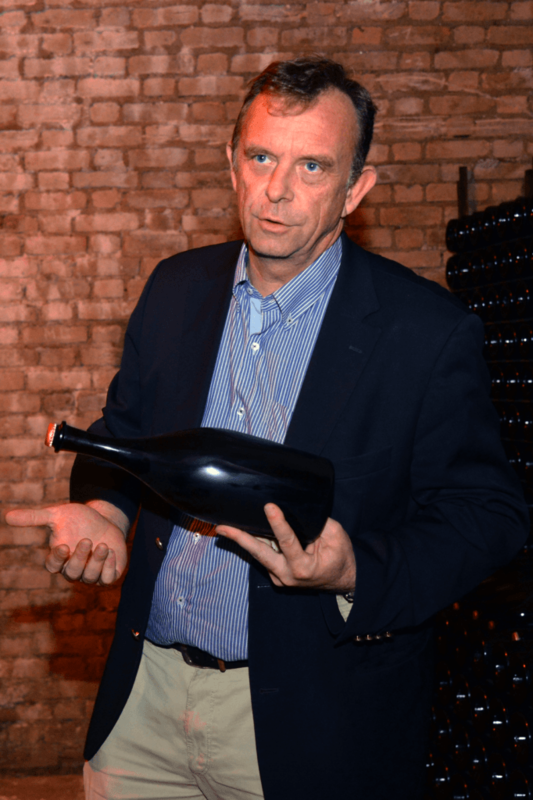 Gosset’s inimitable style — pure, precise, elegant and textured, with remarkable longevity — has changed little over the centuries. 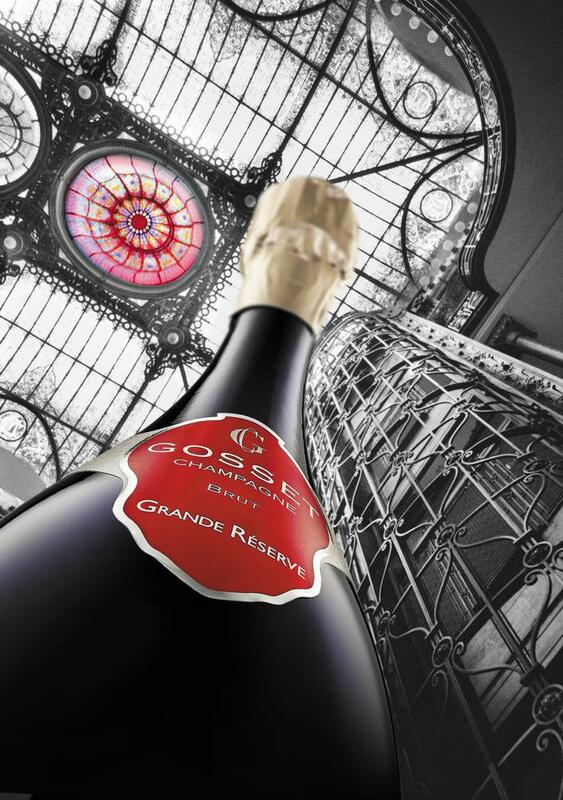 Once a favorite of the kings and queens of France, Champagne Gosset remains one of the most illustrious and prestigious producers, considered by many collectors and connoisseurs as the world’s preeminent luxury champagne.